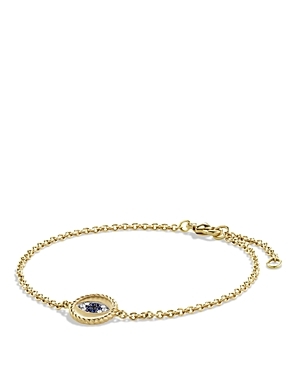 A simple beaded bracelet embellished with a sapphire and diamond evil eye. Diamonds and blue sapphires in 14K. 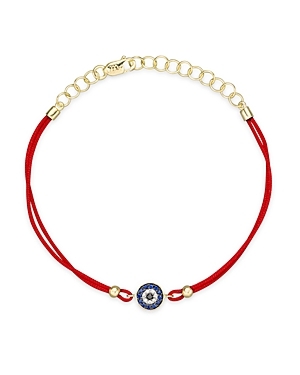 yellow gold from a dazzling evil eye charm, strung on red rope. By Meira T.